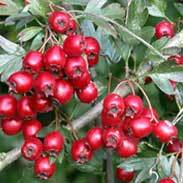 The flowers, leaves and berries of Hawthorn which are all highly regarded for their therapeutic benefits and are abundantly produced every year by strong, long-lived Hawthorn trees. Hawthorn has a marvellous folk-history as a heart remedy and restorative and modern studies fully bear out its traditional reputation. This is a fact, without increasing blood pressure or producing any other kind of strain, Hawthorn increases blood flow through the heart and strengthens the heart muscle. 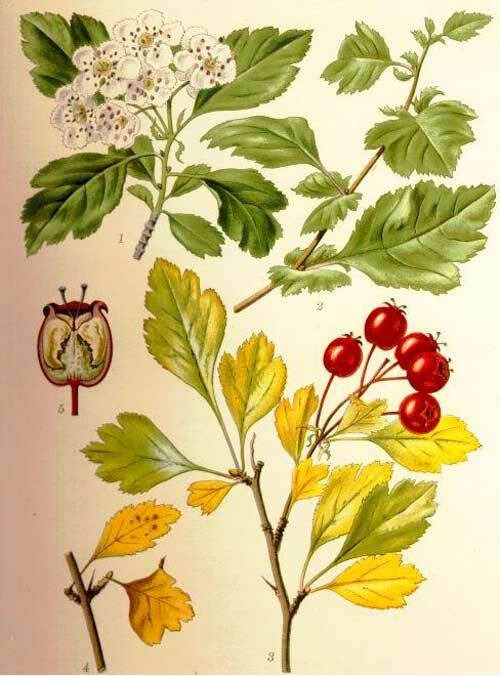 The British Herbal Pharmacopoeia (BHP) describes the actions of Hawthorn as 'cardiotonic, coronary vasodilator, hypotensive, reputed to dissolve deposits in thickened & sclerotic arteries'. It says it is indicated for 'cardiac failure, or earlier myocardial weakness, hypertension, arteriosclerosis, paroxysmal tachycardia' and specifically indicated 'hypertension with myocardial weakness, angina pectoris' The BHP recommends a dose of 0.3-1gm or by infusion and the tincture at 1:5 in 45% ethanol at a dose of 1-2 mls. Thomas Bartram writes that the actions of Hawthorn include 'positive heart restorative, coronary vasodilator, antispasmodic, antihypertensive, adaptogen, diuretic, sedative to nervous system, cholesterol and mineral solvent. Action lacks the toxic effects of digitalis; useful where digitalis is not tolerated'. He suggests uses for it including 'to increase blood flow through the heart, strengthens heart muscle without increasing the beat or raising blood pressure. Enhances exercise duration. Myocarditis with failing compensation. Improves circulation in coronary arteries. Arteriosclerosis, atheroma, thrombosis, rapid heart beat, fatty degeneration, angina, enlargement of the heart from over-work, over-exercise or mental tension, intermittent claudication, risk of infarction, long-term dizziness, mild to moderate hypertension, insomnia, used by sportspeople to sustain the heart under maximum effort. Bartram suggests doses for the leaves & flowers of 1-2 tsps to each cup of boiling water, infuse for 5-10 minutes and dose one cup; traditional for insomnia or for the heart under stress. For the berries; 1-2 heaped tsps to each cup water, simmer gently for 2 minutes, dose half to one cup. For the tincture; 1-2mls. Sharol Tilgner writes 'Hawthorn is not used for acute illness. 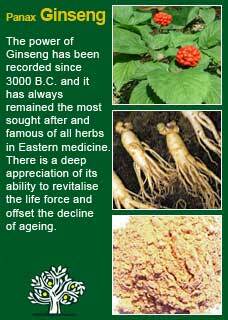 It is an adaptogen specific for the circulatory system and is used in numerous circulatory system problems. 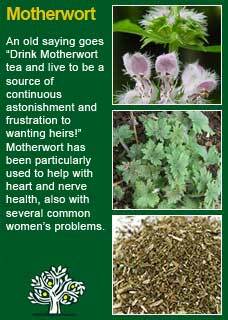 It is a slow acting, nourishing plant which needs to be taken for long term for best effects, 3 months or more. It helps maintain healthy arteries, veins and heart by enhancing the connective tissue structure of the endothelial lining of the heart, blood and lymphatic vessels. This gives these structures resiliency against injury, disease and the normal wear and tear of aging. It improves cardiac function in general. It is used for functional heart disorders with pain, dyspnoea (difficulty breathing), rapid and feeble heart action, valvular insufficiency, cardiac hypertrophy, angina, venous stasis, endocarditis, congestive heart failure, coronary artery disease, cerebral circulatory disturbances, hypertension & hypotension. 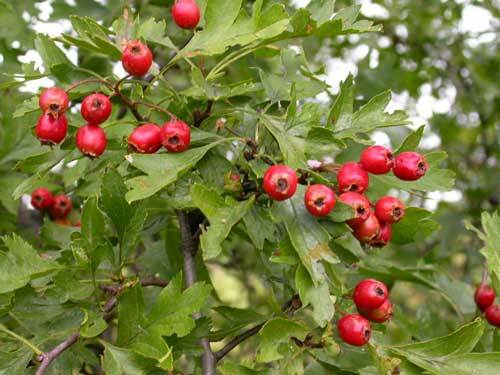 Hawthorn improves coronary blood flow, reducing the likelihood or anginal attacks and relieving anginal symptoms. The increased blood supply directly affects the cardiac cells, enhancing nutrition to the cells and their activity. It also decreases peripheral vascular resistance. These actions assist in lowering high blood pressure. David Hoffmann writes 'a tonic in the true sense, Hawthorn can be considered a specific remedy for most cardiovascular disease. A whole plant preparation should be used, as the individual effects of isolated constituents proved insignificant when tested in the laboratory. The whole plant, on the other hand, has unique and valuable properties. Hawthorn's primary attribute appears to be an ability to improve coronary circulation. It dilates the coronary arteries, relieving cardiac hypoxemia. 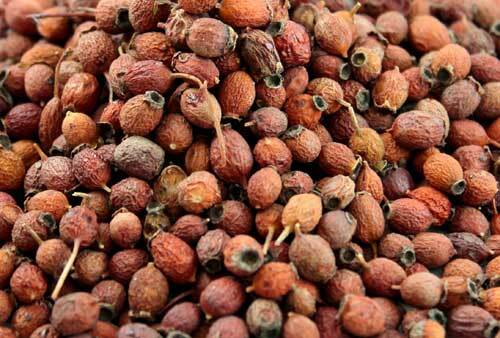 Consequently, it reduces the likelihood of angina attacks and relieves symptoms of angina when they occur. 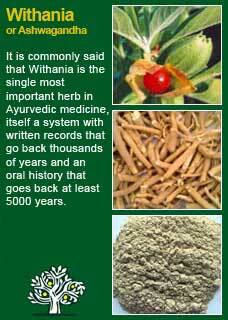 The herb thus directly affects the cells of the cardiac muscle, enhancing both activity and nutrition. 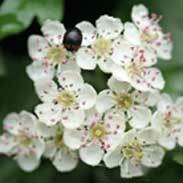 Hawthorn has been the subject of a great deal of scientific research. The New York Heart Association (NYHA) classifies loss of cardiac function as stage 1; the patient is symptom free when at rest and taking treatment and at stage 2 when also on treatment but losing heart capacity with medium amounts of effort. ~ A four year study commissioned by the German Ministry of Health, found that it improves contractions in the veins and heart while dilating the heart. (Hoffmann 1995). ~ A clinical trial with 46 patients decreased the number of angina attacks by 85% (Chang 1986). ~ A clinical trial with 18 healthy patients found that hawthorn lowered heart rate and blood pressure during exercise and maintained resting heart rate (Hellenbrecht 1990). Hawthorn is an extremely safe herb. As copious experience through the past and many modern clinical studies have also shown it may be taken without fear by the young or old and may be used at the same time as any pharmaceutical medications with no concern as to adverse reactions or interactions. We have a large and flourishing Hawthorn tree right at the corner of our clinic entrance. It is the first thing you see all year round when you come in, and then it fills with beautiful pink blossoms every spring followed by equally abundant berries in the autumn. 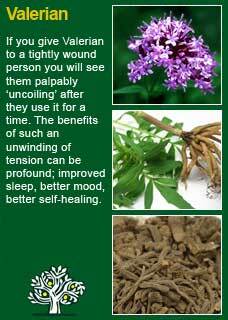 I warmly encourage anyone with any kind of heart problem, and those who know they have a weakening heart from simply growing older, to find out what an extraordinary ally Nature has given us with this great healing herb. 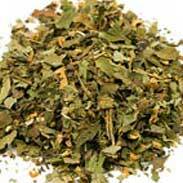 I am sure that all herbalists who regularly use Hawthorn grow to love this plant for how reliably and well it helps. 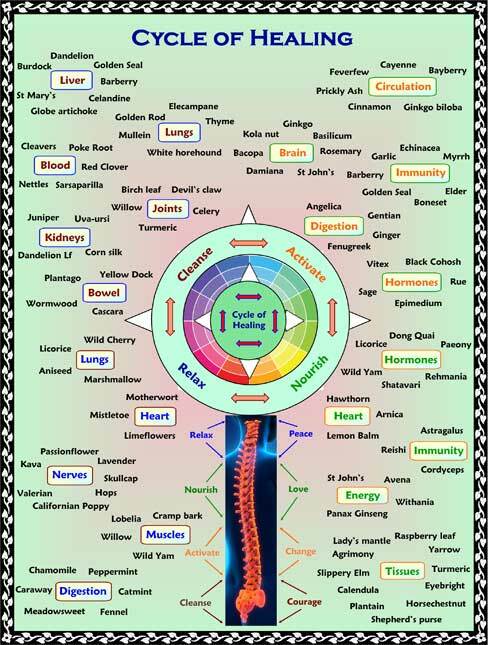 Hawthorn is one of the herbs that I personally use the most in my work and I am certain that I have many patients who are alive and well today because of it. I carefully make several recordings of the heart-beats of nearly all my patients when I first meet them with an electronic stethoscope. This is especially helpful for anyone who has any kind of heart weakness or irregularity because then you can accurately compare a later reading with an earlier one. It has been quite marvellous, over the years, to hear exactly what Hawthorn does when you give it to a person with a weakened or troubled heart. In nearly every case, it makes the heart sound significantly stronger and better. If you who are reading this are studying herbal medicine, or have your own personal reasons to need to know this great plant ally more closely, then I recommend you take a small dose of Hawthorn (leaf, berry or both) in a tea or tincture and then listen closely to what your body has to tell you. For many people, especially when they are ready for a heart tonic, these is a noticeable, palpable warmth and well-being that suffuses through the system after just a few moments. Try for yourself and see! Dosage is always a critically important part of herbal medicine and getting the right dose is frequently what makes or breaks a successful treatment. I don't think there is one exact right level to use Hawthorn for everyone but this is a herb that should be in reasonable physical quantities to be sure of its benefits and I am often looking for as much as 3 or 4 mls in a day of a combination of the extracts of both the leaves and the berries. 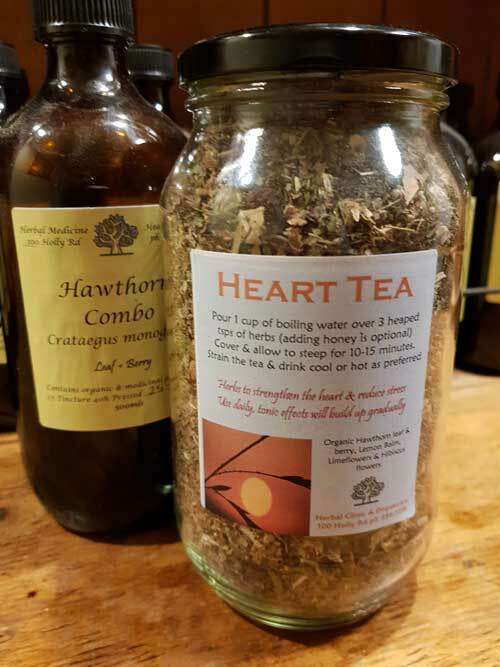 Hawthorn combines beautifully with Motherwort for irregular heart-beats, with Valerian for any kind of cardiac stress or blood pressure type problems and with Panax Ginseng and Withania for a tired or weakened heart. Much of the information here about the traditional uses of Hawthorn is consistent with the model of thinking whereby one may treat problem A with plant B. There is value in this approach, especially in how it helps us pass on useful knowledge to one another, but it falls short in one vital area; and that is that people are not all cut from the same cloth! Something that works brilliantly for one person may do less for another -- why is this?